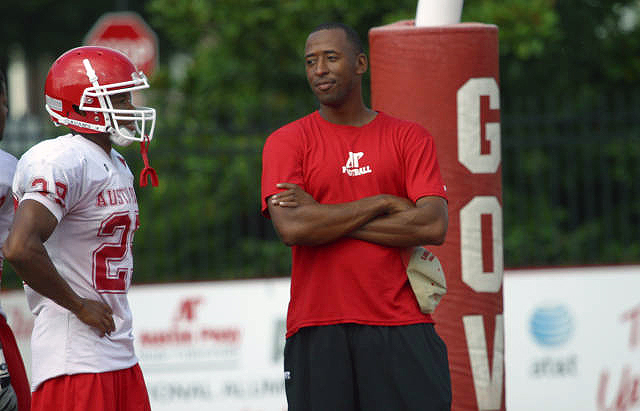 Austin Peay State University’s football team wrapped up its final day of two-a-days, Thursday, without putting on complete pads for either practice. The Govs were only in shoulder pads for Thursday morning’s practice and were in practice jerseys and shorts for the afternoon edition. In fact, the Govs will practice just once on Friday, again just in shorts, in preparation for Saturday’s 9:00am, scrimmage.